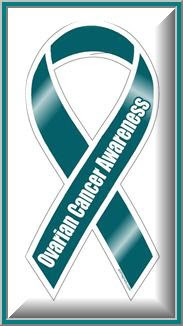 Did you know that September is National Ovarian Cancer Month? Thanks to The Golf Chick for sharing this campaign on her blog. You can read all about it on her post. I think I need to shop for something Teal. I wish I could have bought one of those teal bags – I just bought a blue Callaway bag a month ago…too late for that, but I’m sure I can find something to buy – Golftown here I come! Let’s keep this message moving – pass it along!